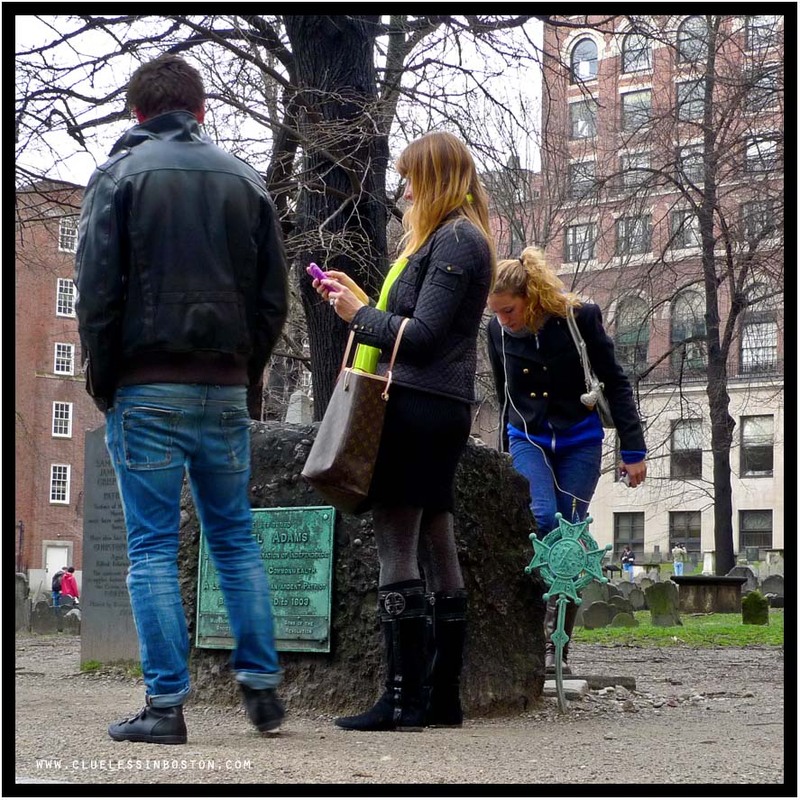 Checking messages in the Old Granary Burial Ground in front of Samuel Adams' gravesite. It's a good bet it's not Samuel. Downloading the Declaration of Independence perhps? I was perplexed at the title, but now I see it is perfect for this beautiful picture. Wishing you a very happy Easter. However did we manage before cellphones? How did we ever live without cell phones? Maybe she's asking where she can buy some Sam Adams beer? Happy Opening Day (and Easter). Great photo. The one in the back with her headphones also helps set a tone in this shot. I was wondering what the woman bending over was checking for; interesting shot. Great photo of Boston, the city is packed full of interesting little corners and sights to appreciate.